When you are working through something as important as an adoption or becoming a guardian to a child, it is important that you have a guide you can depend on. I am lawyer Melisa Van Meter of Van Meter Law Office, P.C., in Norman, Oklahoma. My practice is focused exclusively on helping protect the best interests of children through adoptions and guardianships. I help those seeking to adopt as well as birth mothers who are looking for just the right home for their babies. I have been practicing law since 1991. I began working in family law. I found myself continually drawn to ensuring that the children in the cases I worked on were protected and that their perspective was part of whatever proceeding they were involved in. In 2000, I decided to devote my practice to helping make the adoption process work for everyone involved: adoptive parents, birth parents and the children. I also assist those who are caring for a child and who are seeking to secure the legal rights necessary to be able to make decisions for a child. Becoming a guardian to a child allows those who have taken over the care of a child for a relative to be able to make essential choices for the child and provides legal recognition of the role they are playing in that child's life. I can help you effectively navigate the complicated processes of adoption and becoming a guardian to a child. 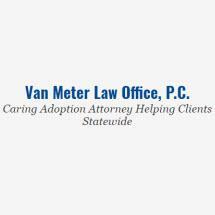 To schedule a free initial consultation with adoption attorney Melisa Van Meter of Van Meter Law Office, P.C., call 405-310-0452 or contact my office online.